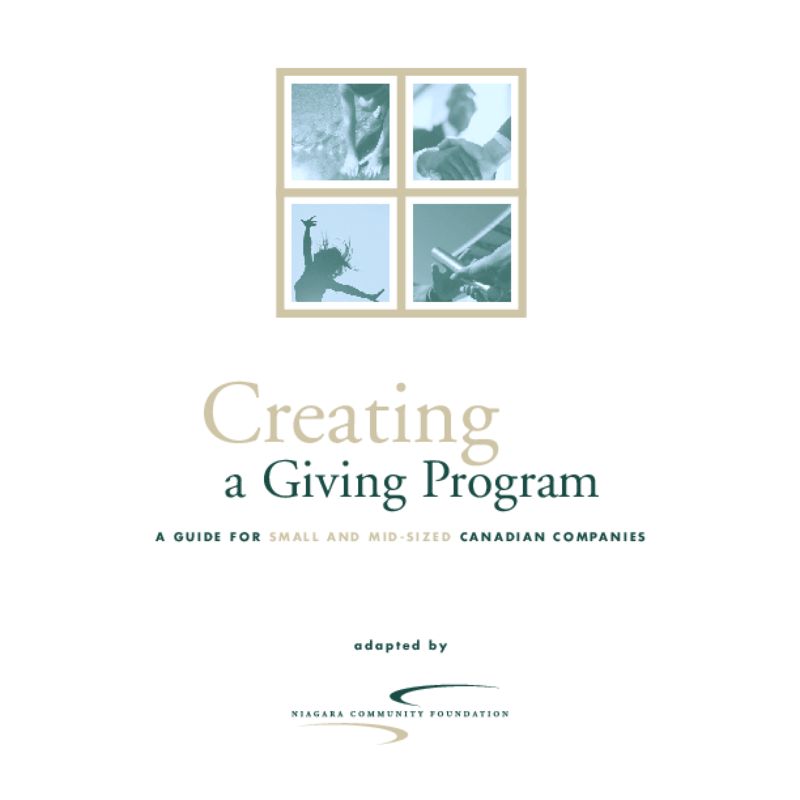 This booklet intends to help small and mid-sized companies in Canada to develop giving programmes to support their corporate mission and further their corporate social responsibility. The guide discusses all phases of developing the program, from planning to managing and reporting on it. The booklet is the Canadian adaptation of an American version originally produced by New Ventures in Philanthropy. Copyright 2003 Niagara Community Foundation.